What the value of time mean to you? We can help you grow, personally or as a professionally, join our mailing list for exclusive opportunities! Yes or No? 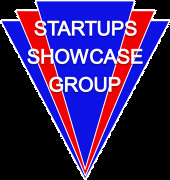 Welcome to Startups Showcase Group! We open doors to the Silicon Valley & San Francisco Startups ecosystem. This is one of the first Entrepreneur Groups that welcomes consumers. At the end of the day, all new technology that is successful must find its way to the end user, we the people, "The Consumer"! The ecosystem includes, Investors, Founders, Co-Founders, Entrepreneurs, Big Brands, Service Providers, and Consumers. Everyone has an opportunity to be early adopters of new technology being launched MONTHLY! 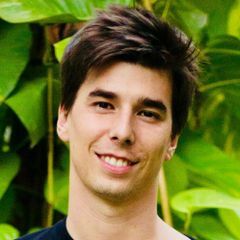 We have an open door policy that all technology and non-technology startups will have the opportunity to meet investors, co-founders, end users, dealers and consumers giving them the opportunity to grow, their startups! We will see startups demo all types of new and exciting technology and non technology services and products such as: VR/AR content and hardware | Native Apps | Mobile Apps | Web Apps | Cloud Computing | Big-Data | Solar Energy | Drone Technology | Wearable Technology | Digital Technology | Security Systems |Tablets | GPS | ISPs | Smart Home Electronic Controls | Home Theaters | Smart phones | Sound Systems | Smart TVs | Electronic Components | Wireless Systems | Computers | Video Games | Cables | High Tech Tools | Test Equipment | Gizmos | Gadgets | High Tech Toys | Food | Drinks | and More. Here together with you, we are blazing the trail that brings consumers, investors and manufacturers directly in front of technologists and non technologists that are changing the world in which we live. Everyone can make valuable connections with Angel Investors, Venture Capitalists, Startup Founders, Legal Representatives, Varied Sales Channels, for a new and/or ongoing business.